The Netherlands Institute for Sound and Vision’s RE:VIVE initiative returns once again with Fog Mountain Records to present V/A-010, a conceptual, 14-track compilation composed solely out of historical archival sounds related to Rotterdam. The music is inspired by the city’s devastating past and Rotterdammers’ insatiable ability for hard work, disregard of expectations, pride of being from Rotterdam and neglect as being consider a “Second City” to Amsterdam. The compilation features tracks from experimental stalwarts like Roly Porter and FIS, Rotterdam heavy weight Bas Mooy, Dutch up-and-comers ANIK, BZGRL, Lemontrip, Nukubus, and HOEK as well as more international artists such as Iowa City’s Lwa, Montana based Meta and Perth, Australia’s Consulate. 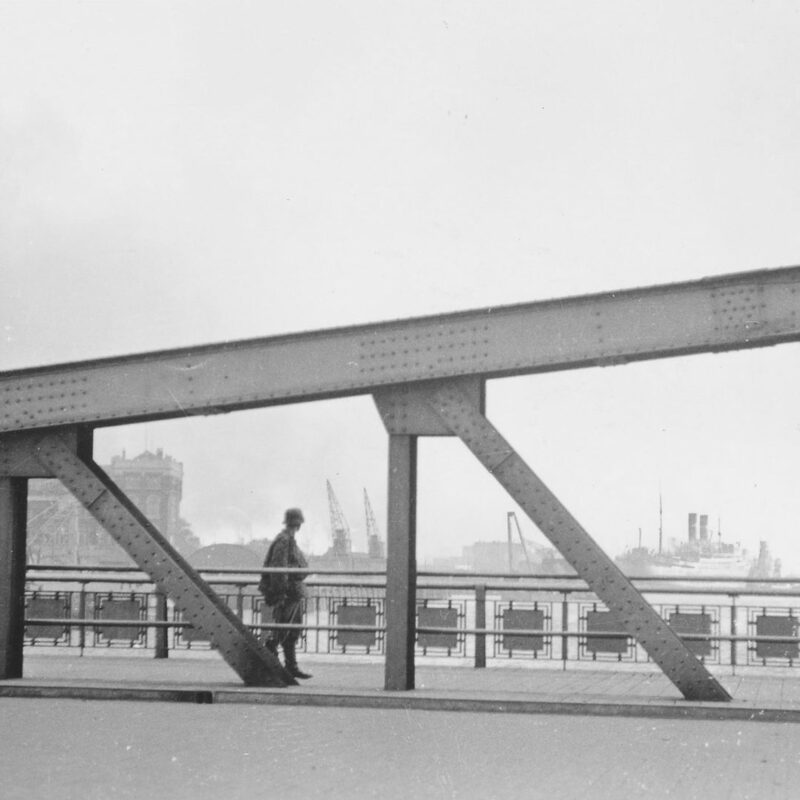 When discussing Rotterdam it’s impossible not to address the city’s annihilation on May 14, 1940. It was a destruction that may or may not have been intended. Controversy remains as to whether or not the Nazis should have bombed the city while surrender negotiations were underway and questions as to why the planes were not called off. A few hours could have saved the city from its ultimate doom. But from the ashes a new city was reborn, one subject to taunt and disregard from many but one with a work ethic that every Dutch person will acknowledge. With 010 (the Rotterdam area code), 14 artists blend Rotterdam’s new fangled modernity with its middle-American esque blue collar way of life. The artists’ source material allowed very little melody aside from the medieval bells of the Sint-Laurenskerk. Instead, the Port of Rotterdam, the cold concrete and glass architecture of the city’s skyline, the wide boulevards, the hustle and bustle of a working class community challenging and embracing a rapidly modernizing society served as the sonic basis. The compilation is representative of a city that comes to life when no one is looking. Where the good sadly goes unnoticed except by those who are there to witness it. Oaktree’s “City is a Jungle” induces a feeling of being lost in a neglected modern metropolis while Consulate, Drvg Cvltvre, Nukubus, Lemontrip, Mill Burray and Bas Mooy deliver the aggressive, deep, cold and pounding techno that translates the city’s industrial machine to refill the now derelict warehouses. HOEK, BZGRL, Meta and FIS look forward with thrilling experimental walls of sounds that sound so un-Dutch they could only grow in Rotterdam. ANIK captures the energy of a 24-year-old taking on the city by night and Roly Porter investigates a working class city’s relationship with God. After having its own fate handed to it, Rotterdam is a city that refuses to let the ubiquitous gentrification that is becoming more apparent in Amsterdam take control. “It’s too modern”, “it’s too cold”, “it’s not ‘gezellig’”, “it’s not safe” are just a few common associations one will hear from a Dutch person talking about Rotterdam. Amsterdam dreams while Rotterdam works is another common expression. With 010 we explore what happens when Rotterdam dares to dream. The compilation is available for free download via Fog Mountain under a Creative Commons Attribution-Share Alike license and the companion photobook is available for purchase. Get it here.